I got the chance to do a review for OXO. 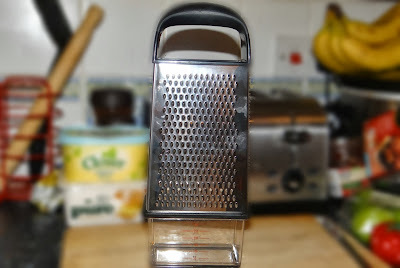 I chose too review the Box grater which you can buy on their website here for £15.50. Delivery was very quick, which is ideal! No one likes waiting around for a parcel. 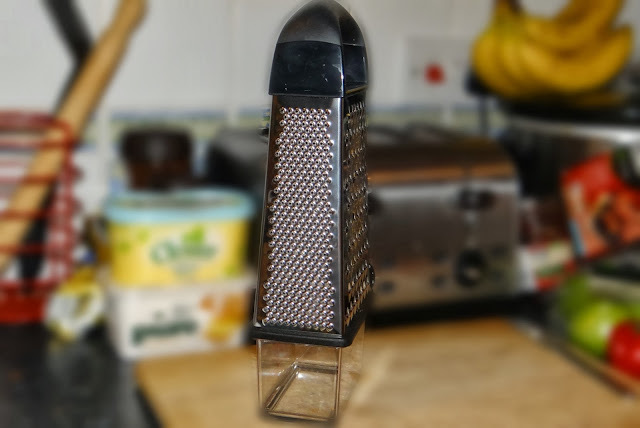 This box grater is great for you kitchen cupboard! Ideal grater for cheese, vegetables and much more! There is a slimmer, super-fine gratine surface and a slicing surface. I was really suprised about the soft rubber handle! As many graters i have had in the past do not have much grip but this one had a really good non-slip handle! To top it off, this grater comes with a storage container. We've had one of these in the past but it was awful as the grater wouldn't stay on the storage box but this grater has a non slip ring around the grater which makes it stuck on the box grater whilst you grate! Also you can measure with your storage box! Overall: I am really happy with this grater. It will deffintley be used on a daily basis and even my partner says it's really good! 2. Any cheaters, you will be suspended from entering. 3. Winner will be chosen 10th December at 9pm. 4. Winner will be e-mailed within 24 hours by myself, then within 3 days by the company. 5. If there is no reply from the winner within 3 days of the company contacting then the prize will be chosen to another entry. The kettle followed by the washing machine, dishwasher, bread maker and weighing scales. I love all of my sillicon bits too. As to be the kettle.